Remember? I received my invitation along with a $50.00 merchandise credit as a Klout perk? It’s been a while, so I’ll forgive you if it has slipped your mind. In fact it’s been so long even I almost forgot that I placed an order with them back in the beginning of September. After a full 3 weeks, the merchandise I ordered from TheClymb.com has finally arrived! Check back soon for field tests and reviews of both of these items! I placed my order on September 03, 2011 and received it on September 24, 2011 a full 3 weeks afterwards which, and I’m just being honest here… Seemed a bit long. In all fairness their shipping policy does state, “You can expect to receive your order within two to four weeks.” which puts them well within their stated timeline on this shipment, however it seemed like an eternity to me. In their favor TheClymb.com has partnered with GreenShipping ensuring every order they ship is carbon neutral. GreenShipping uses a highly sophisticated carbon calculator that analyzes a package’s weight, size, destination and mode of transport to determine the amount of credits will need to be paid to The Bonneville Environmental Foundation in order to offset the greenhouse gas emissions for each shipment. All things considered I do like TheClymb.com you can Get The Outdoor Gear You Need At Up To 70% Below Retail At The Clymb.com and as long as you’re not an impatient person, I would definitely recommend joining! 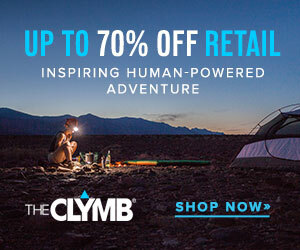 A New Flash Sale Every 24 Hours At The Clymb.com. Get In Now!